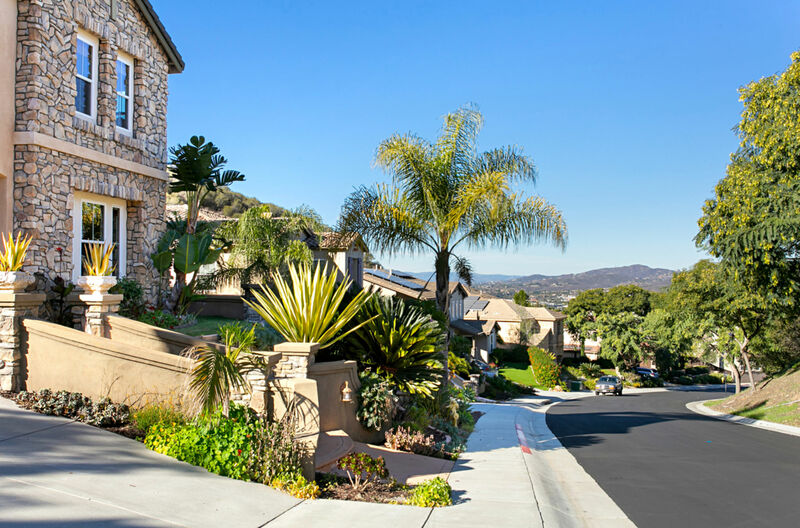 Enter the beautiful gates into this small community of luxurious homes nestled in the hills of San Marcos just above Discovery Lake. 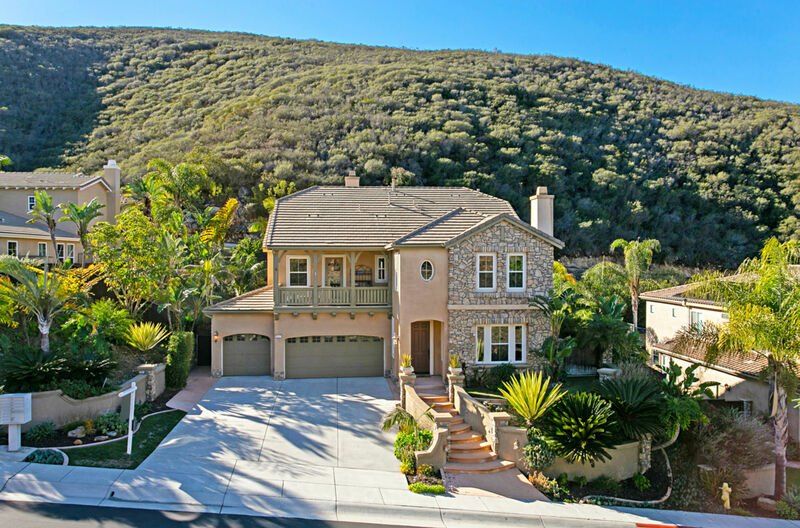 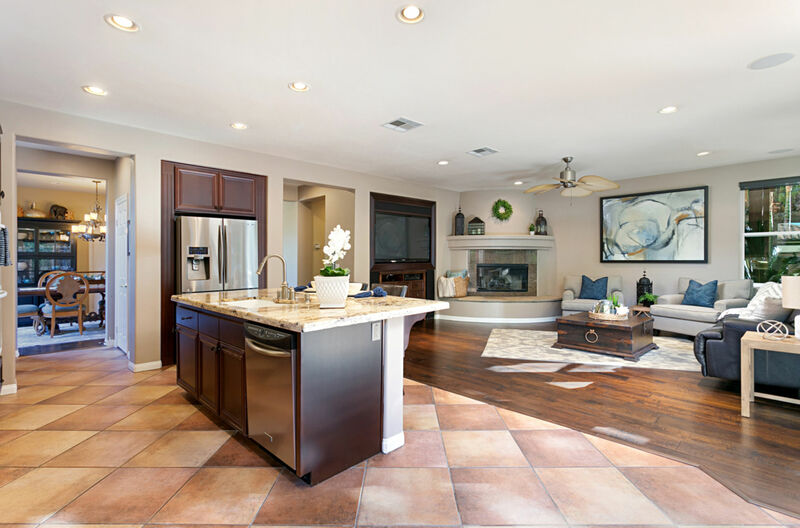 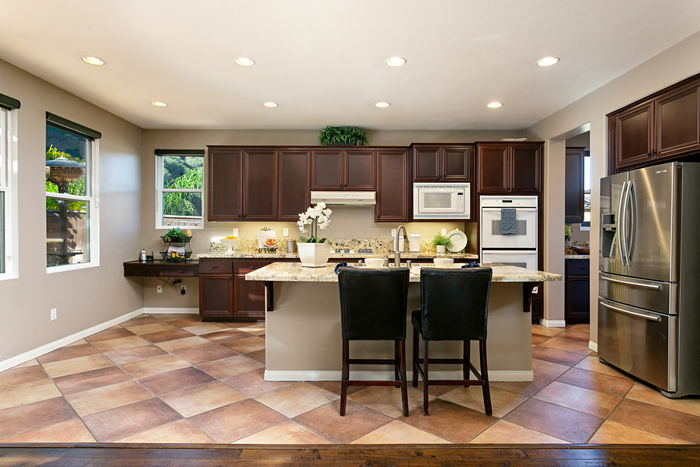 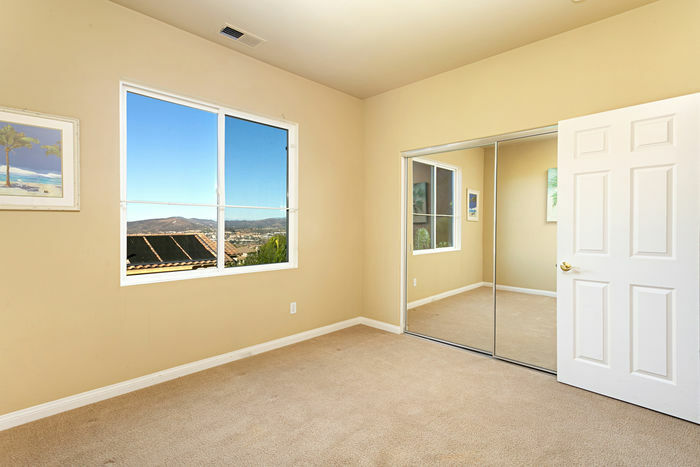 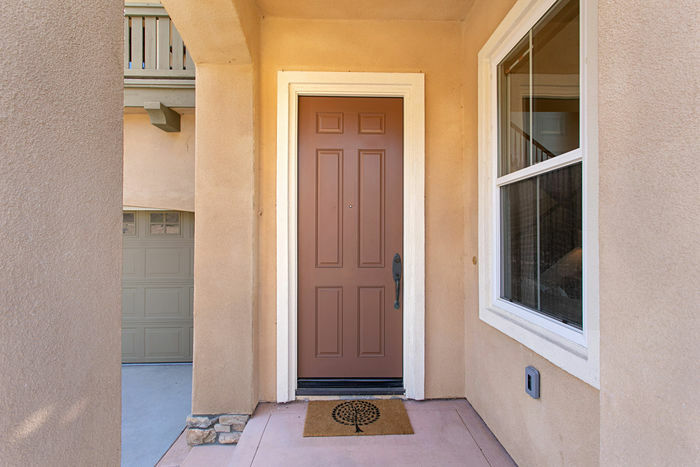 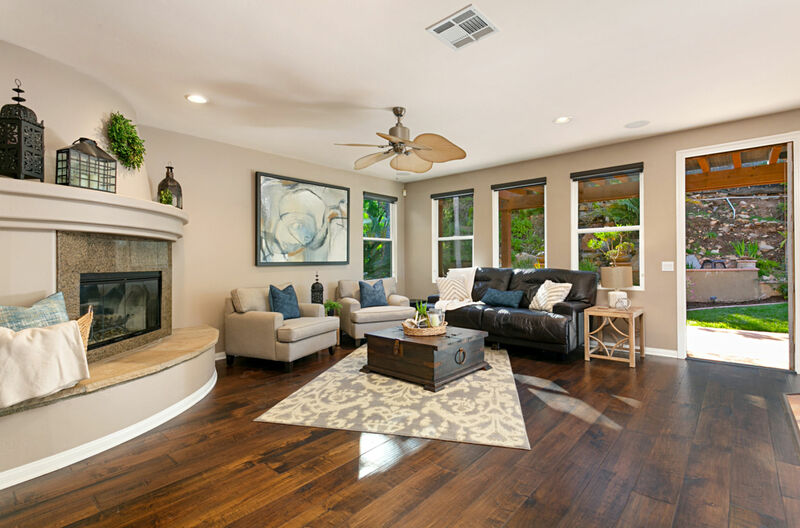 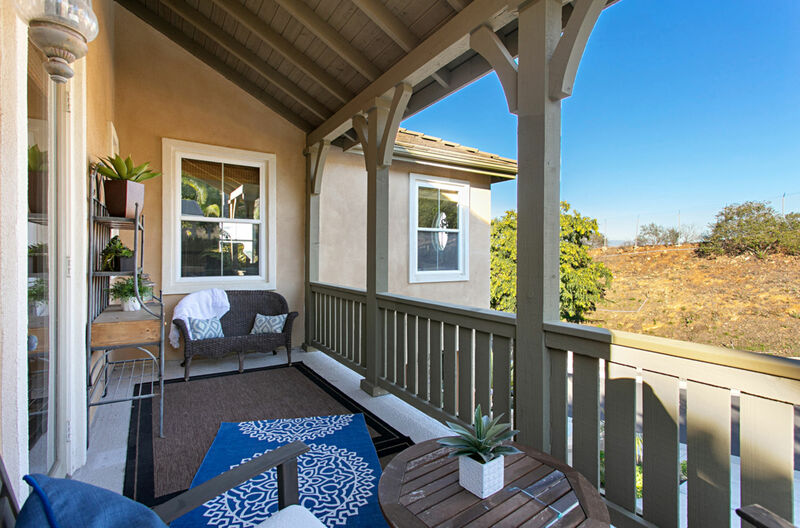 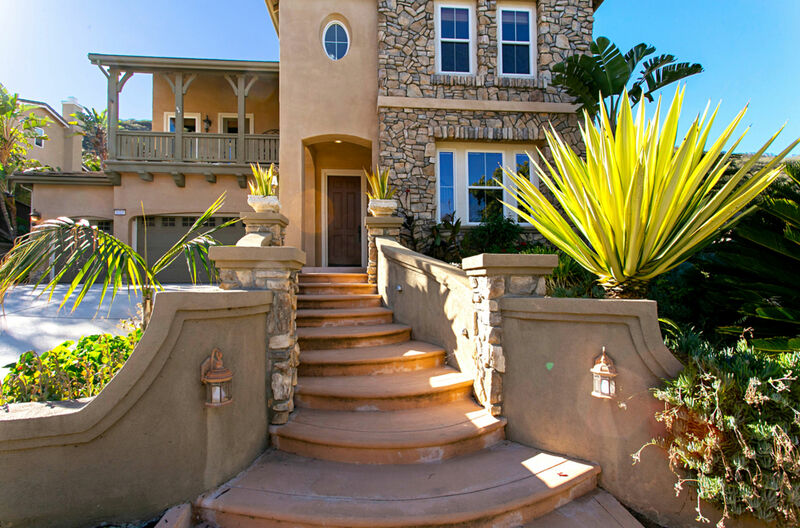 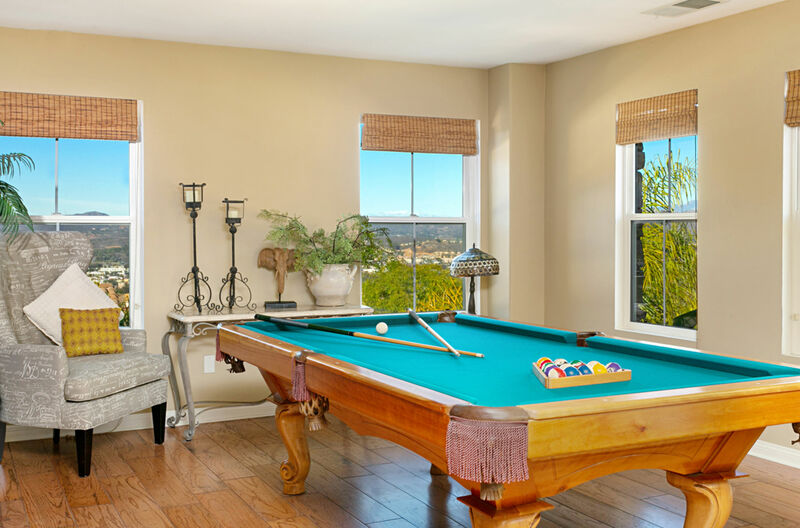 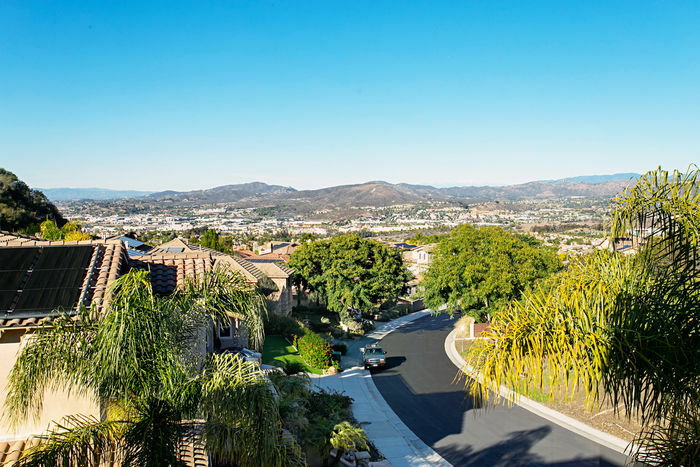 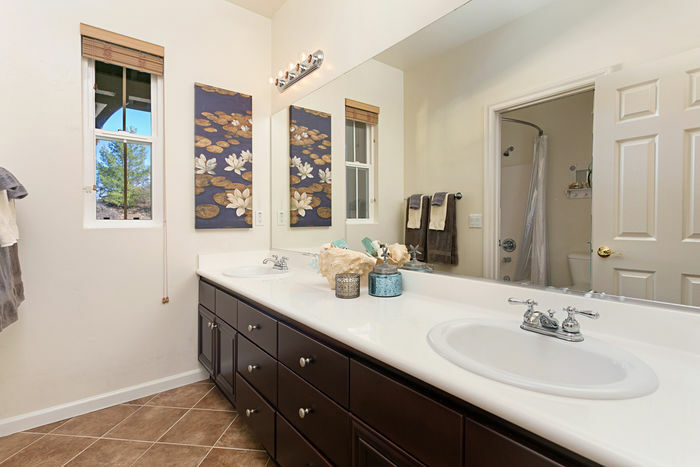 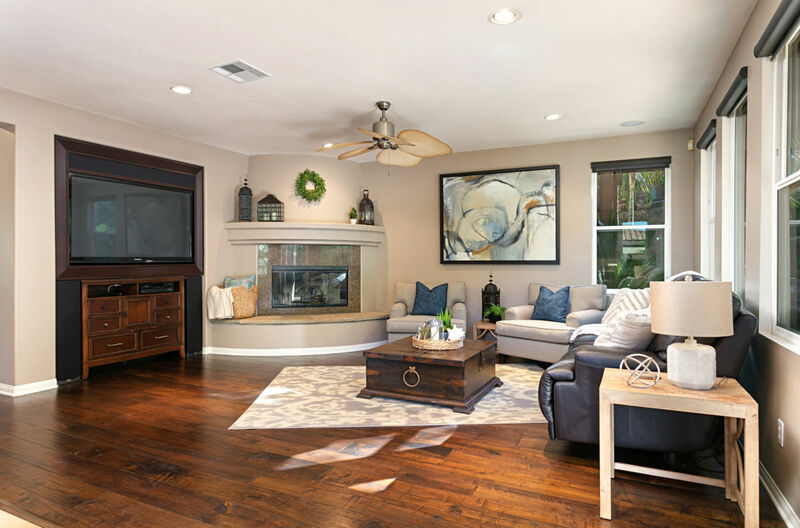 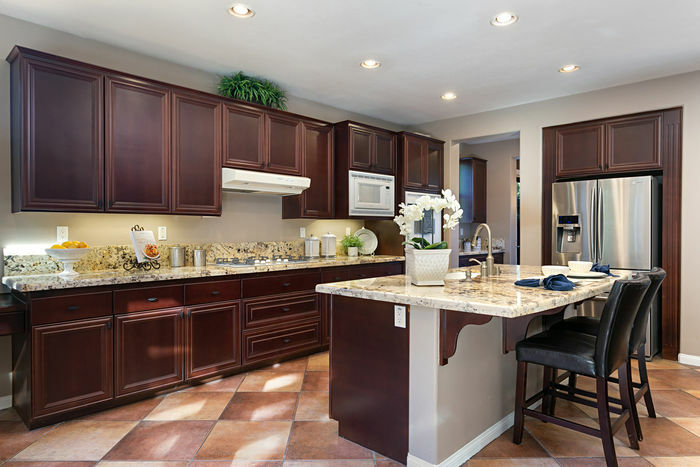 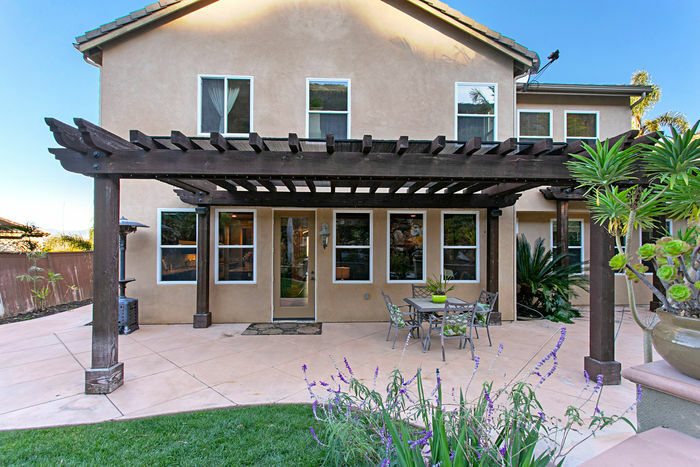 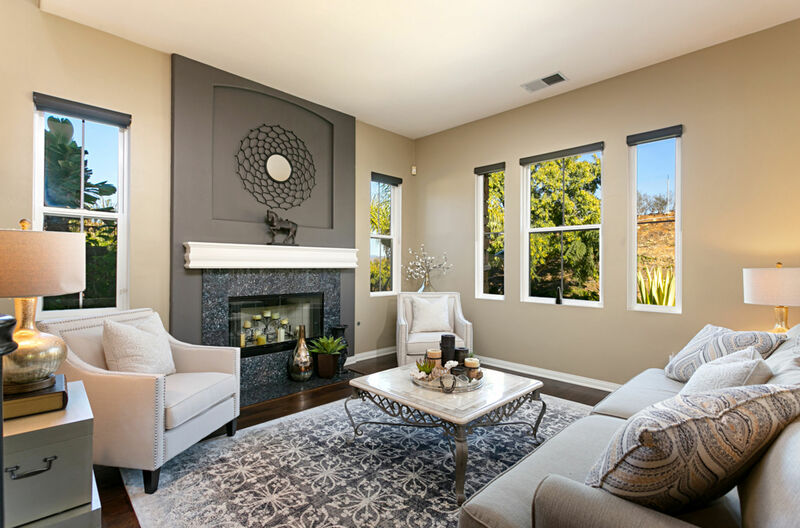 This highly sought after community offers stunning ocean, valley, and city light views with access to miles of the walking/hiking trails of the San Marcos trail system. 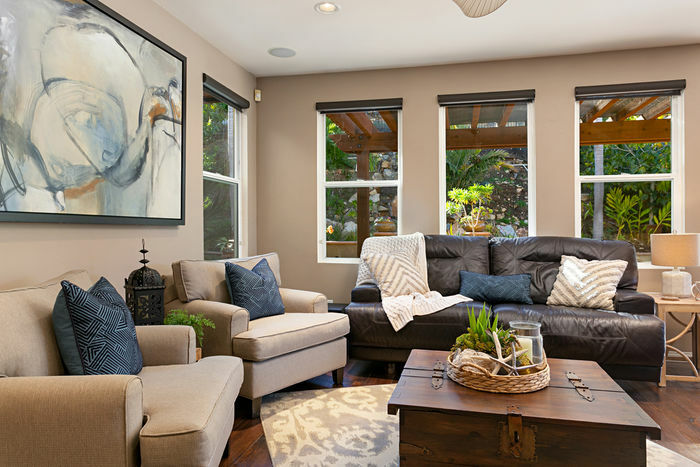 Situated on a private singlle loaded street, this lovely home is loaded with upgrades and unique features. 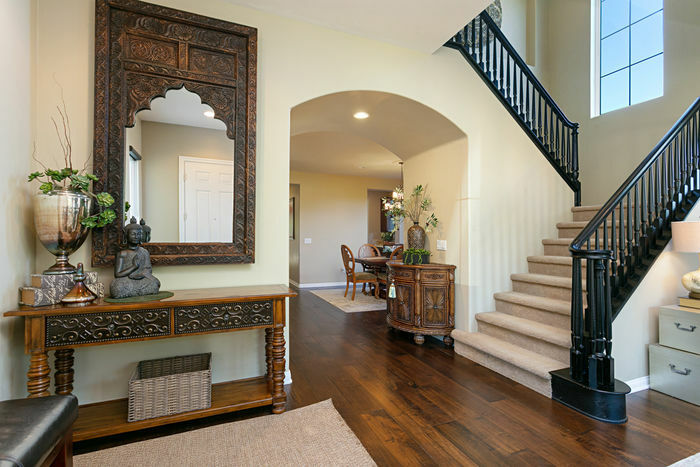 Enter through inviting foyer into the formal living room with volume ceilings and fireplace with rich wood floors. 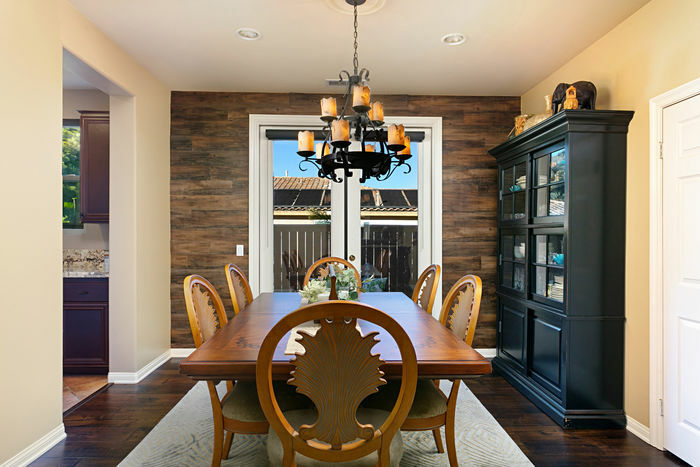 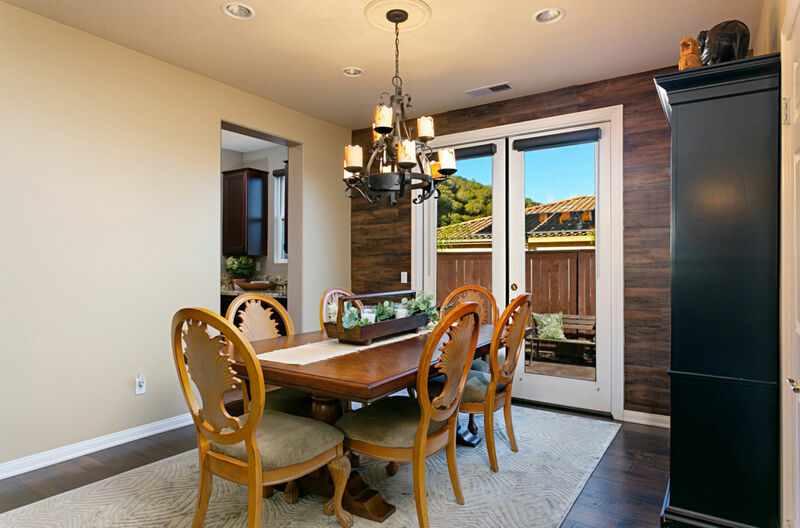 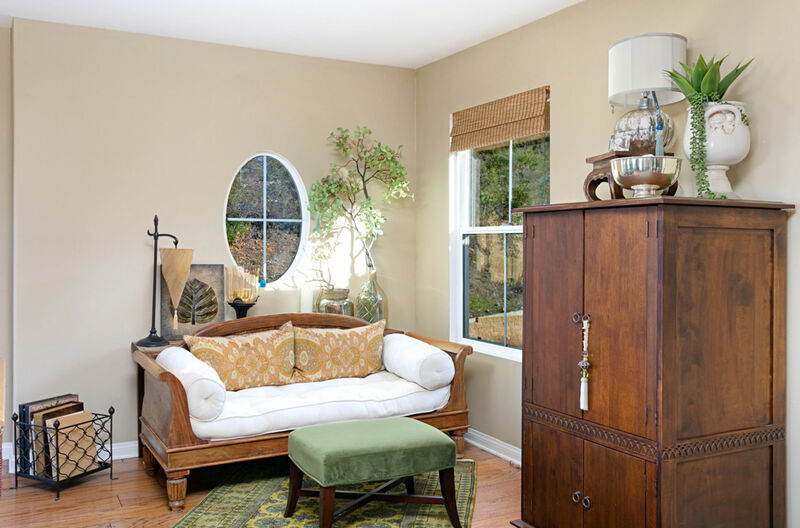 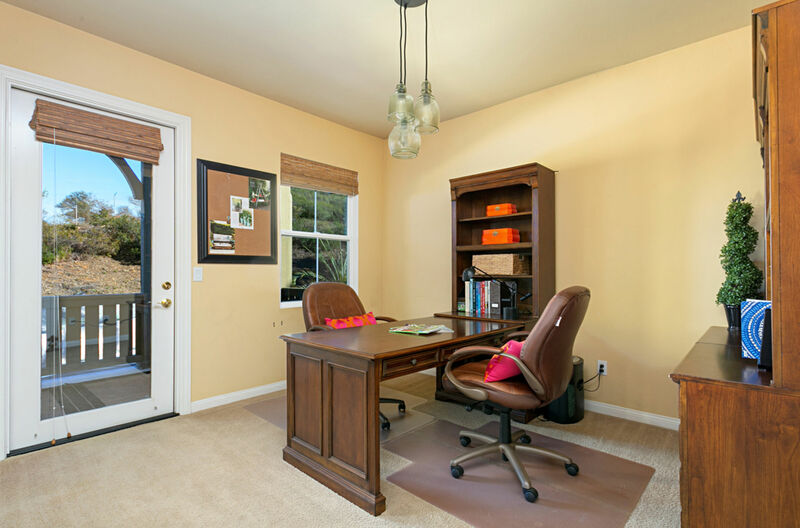 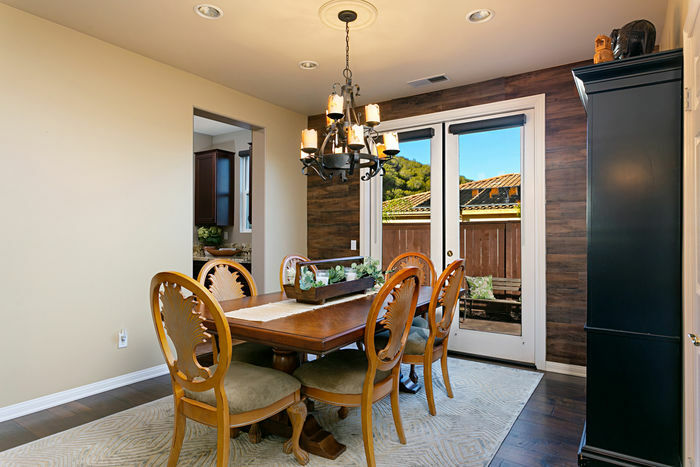 The formal dining room boasts custom wood inspired wall feature and french doors to spacious side yard. 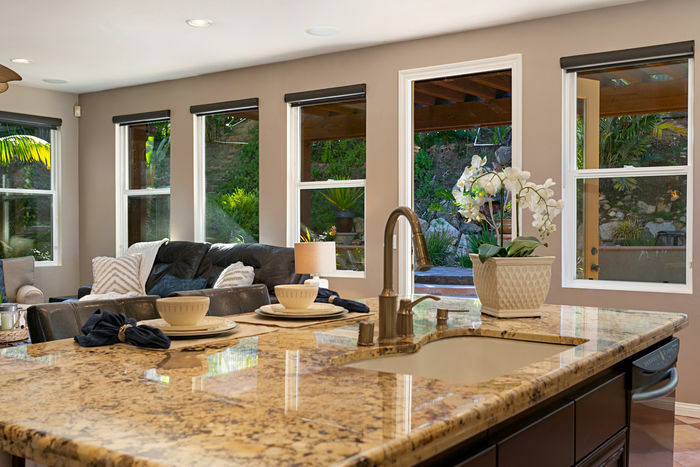 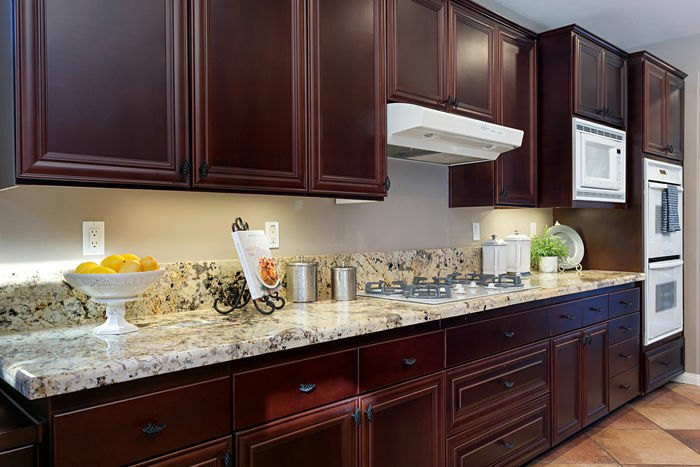 The gourmet kitchen boasts gorgeous granite counters, huge eat-at center island, butler’s pantry, walk-in pantry, and flows seamlessly into the large family room with fireplace and picture windows that frame that lush views just outside. 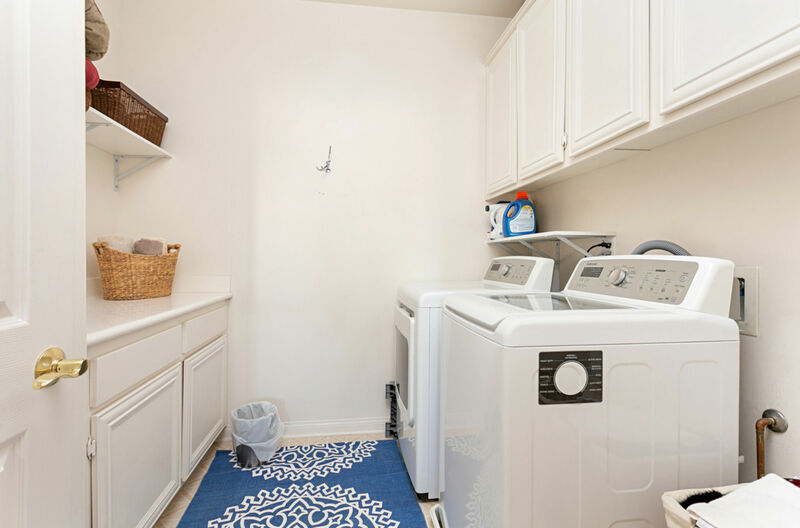 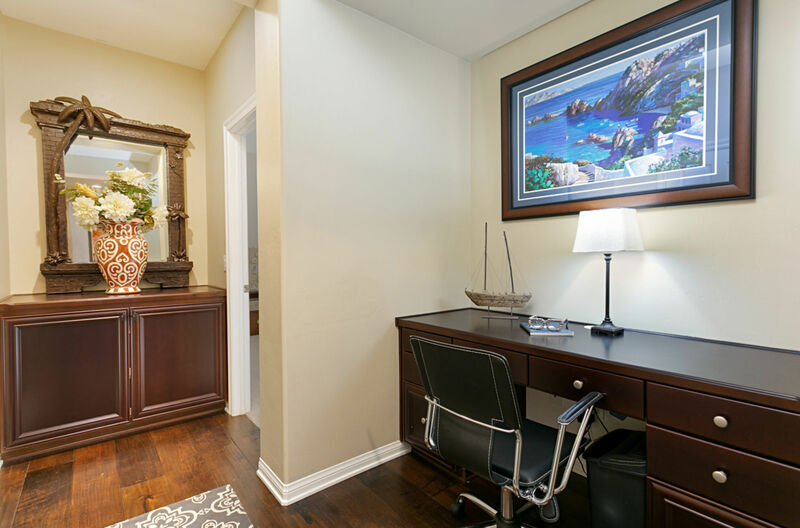 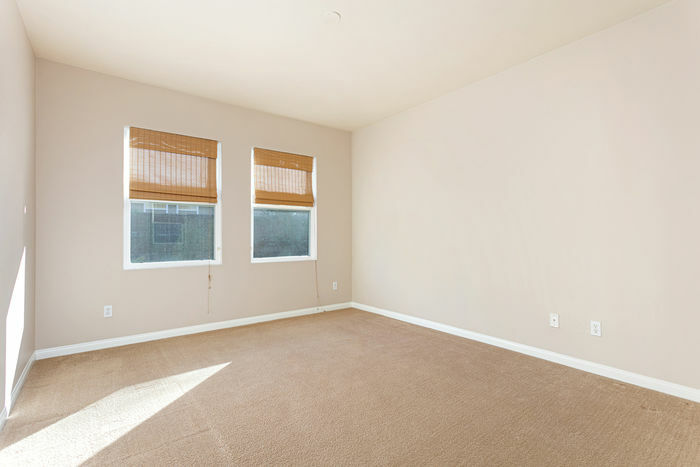 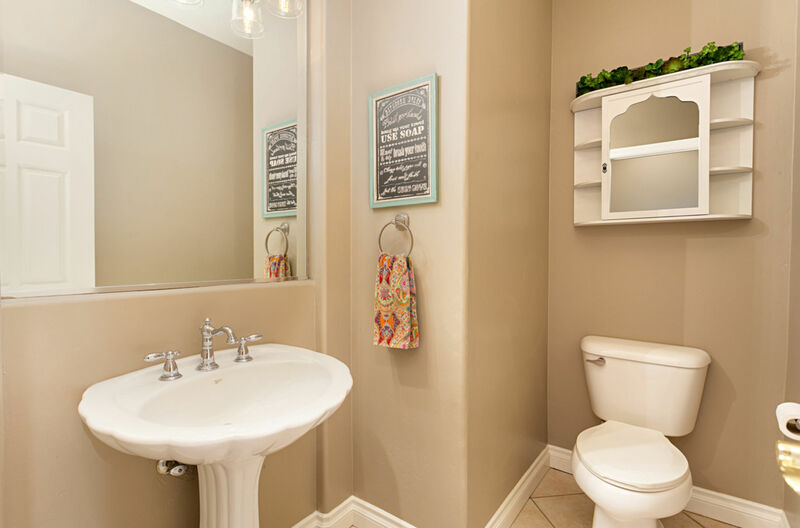 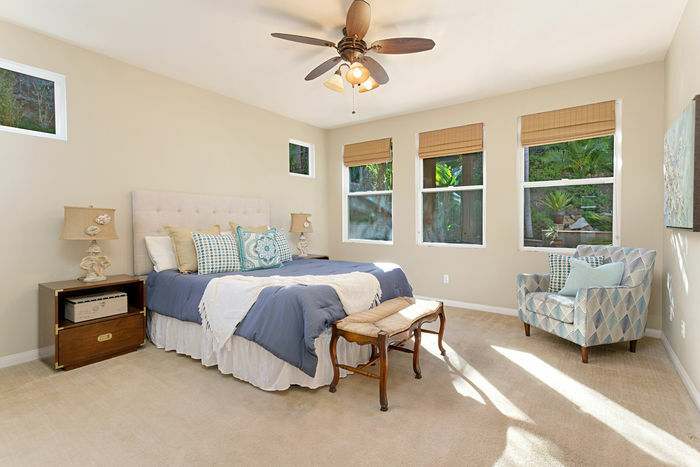 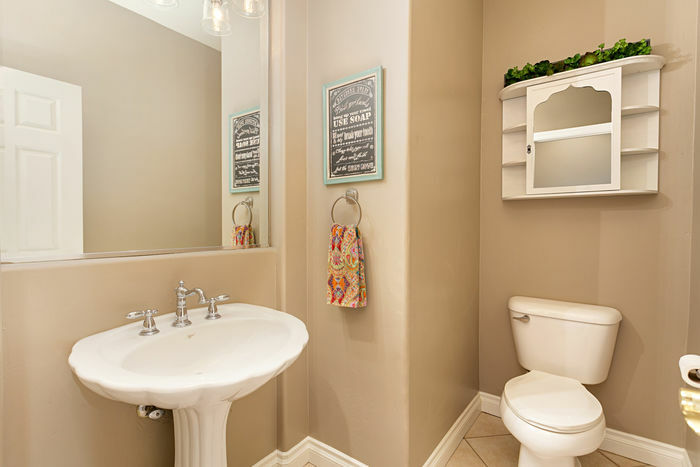 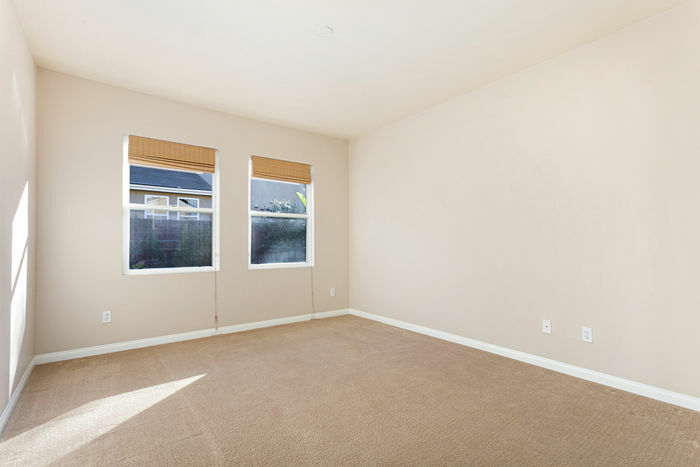 Convenient downstairs bedroom with private on-suite bath and upstairs landry room with storage. 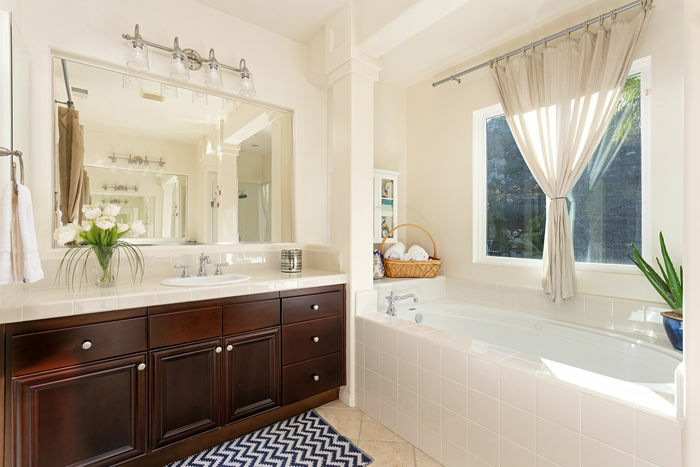 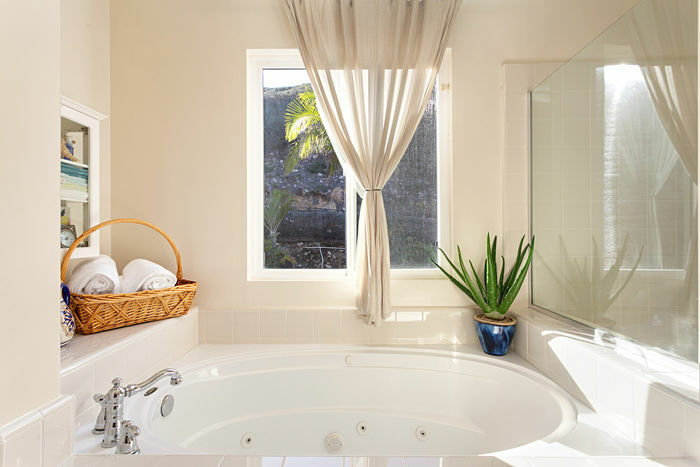 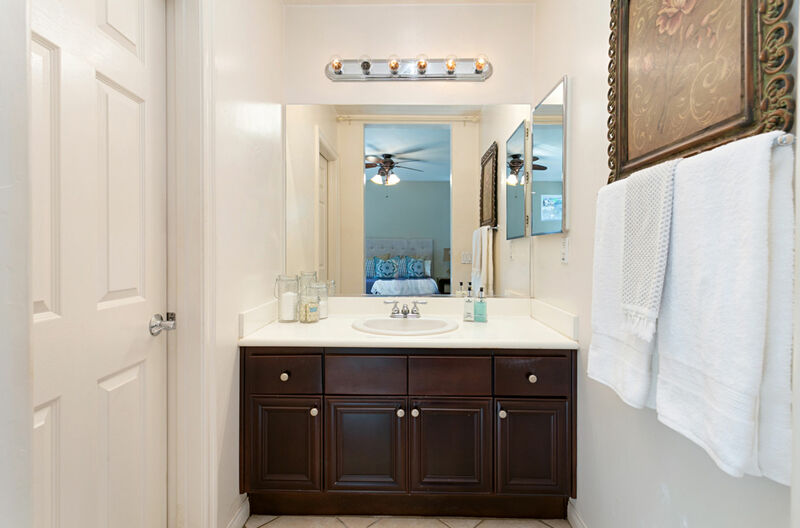 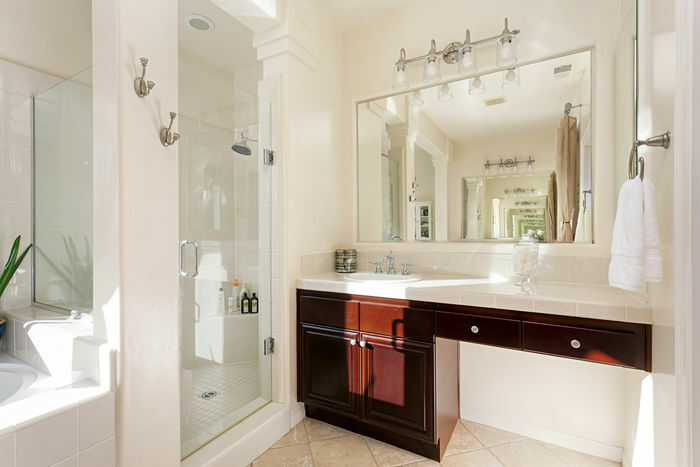 Upstairs you’ll find expansive loft, three secondary bedrooms, and the Master Suite with large retreat, customized walk-in closet, and bathroom with dual sinks and vanities, soaking tub, and separate shower. 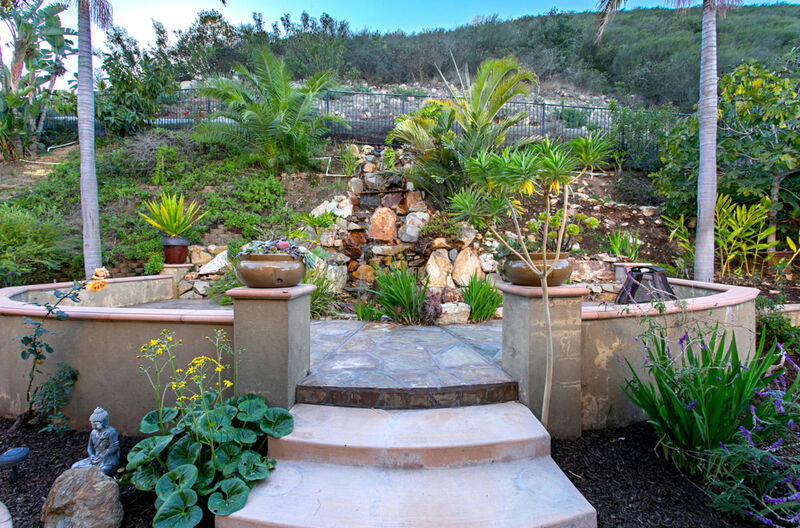 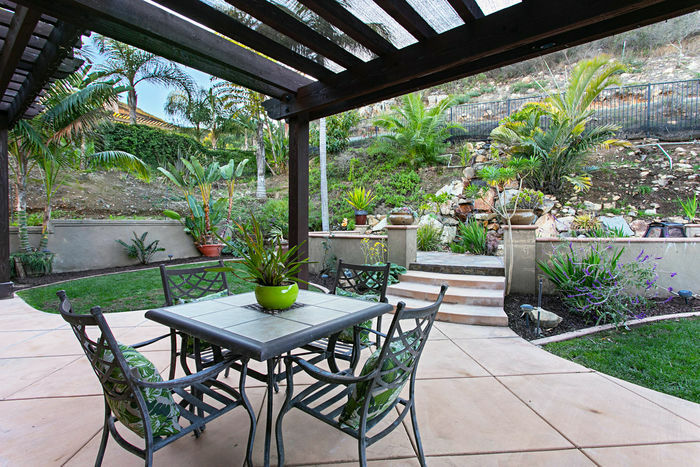 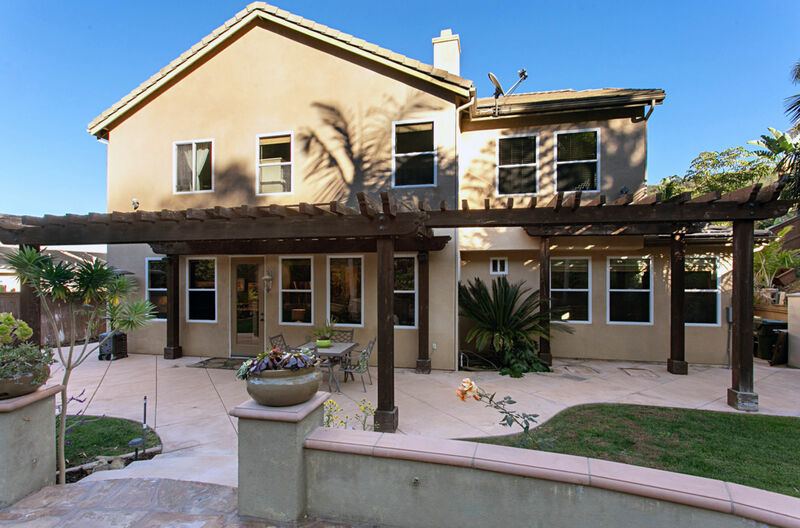 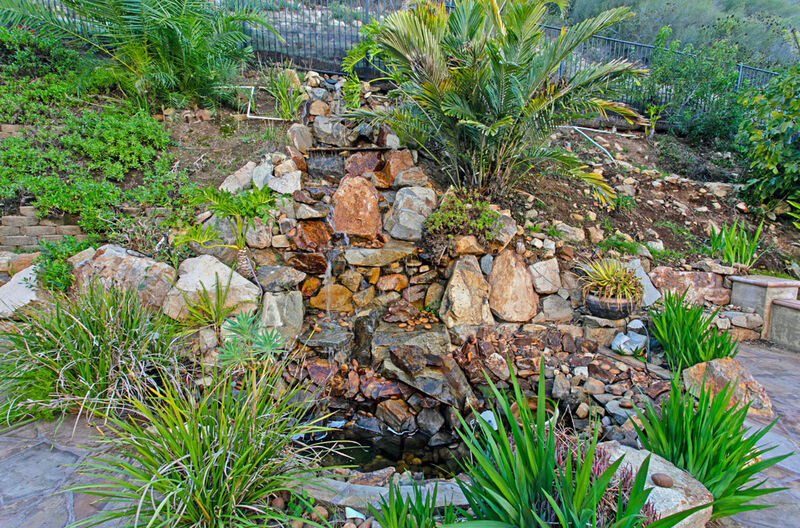 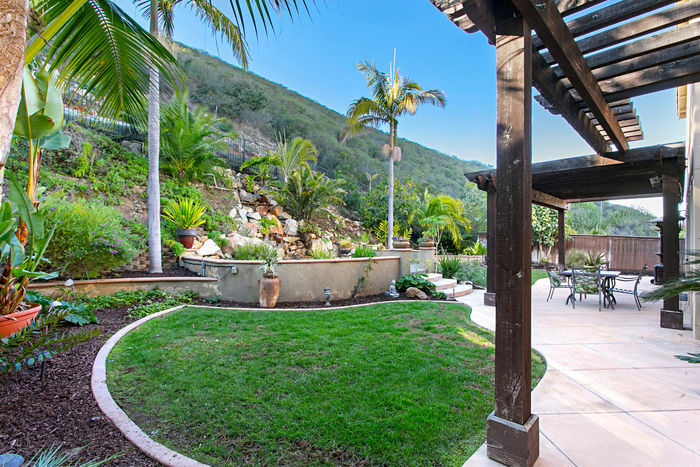 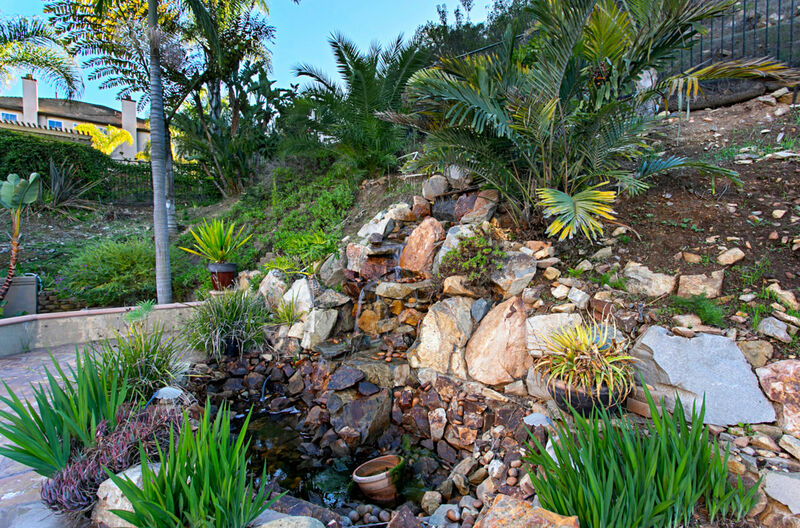 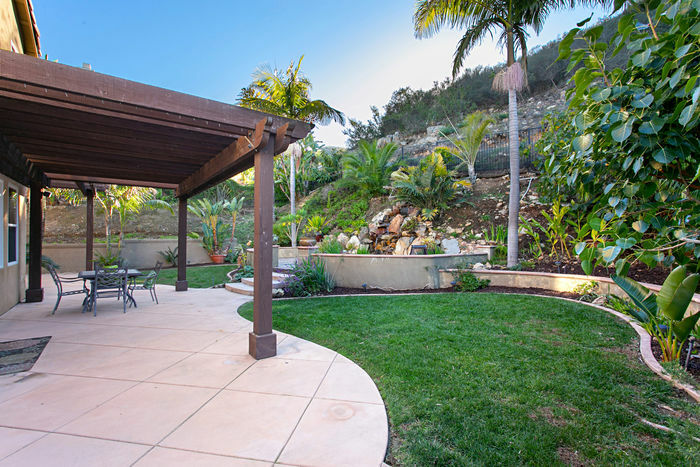 The large backyard feature a beautiful custom waterfall with pond, covered patio, and lush mature landscaping. 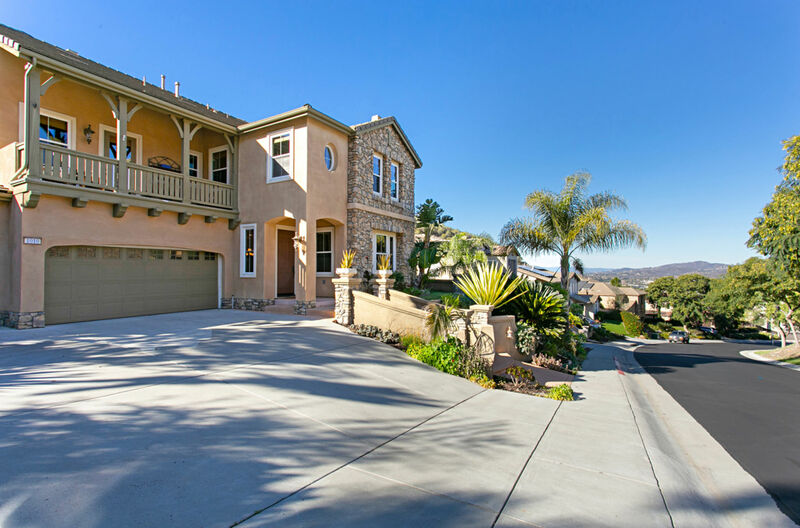 This home is a truly a must see!